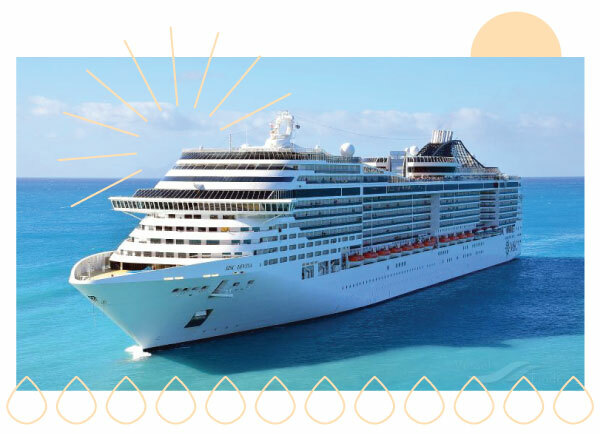 Welcome aboard the MSC Divina, the Holistic Holiday at Sea cruise ship! 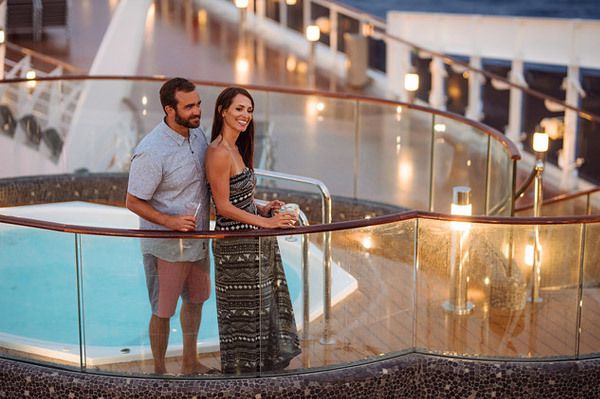 Inspired by Sophia Loren herself, MSC Divina possesses the vintage elegance and glamour of the golden age of sea travel, and she’s been updated in a new vision with inspired, ultra modern amenities. 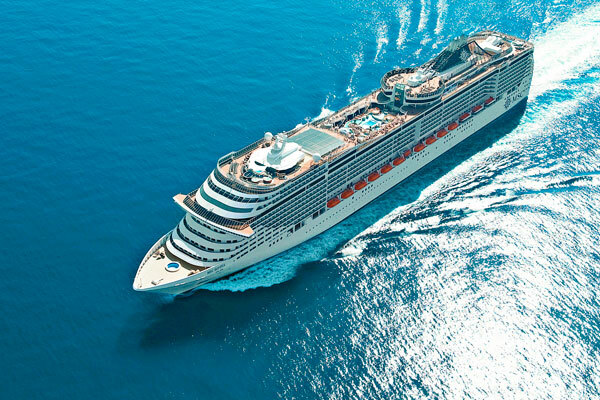 Just as the Holistic Holiday at Sea is not a typical Caribbean cruise, the eco-friendly MSC Divina is not a typical cruise ship. The Divina is spacious and comfortable, boosting an immense variety of sports and leisure facilities, plus world-class entertainment. Combining the Old-World sophistication of European design with state-of-the-art American comforts, the Divina is home to a real stone piazza, Broadway-size theatre, Swarovski crystal staircases, and a tranquil infinity pool that extends seamlessly out to sea and into the horizon beyond. 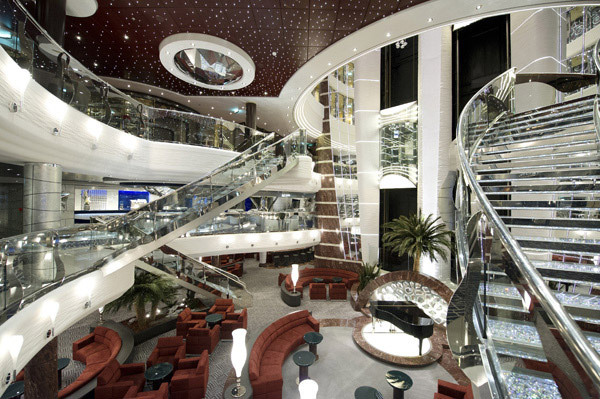 In addition to its style and luxury, the MSC Divina is among the greenest in the industry. Launched in 2012, the ship is built to the highest and most demanding ecological and safety standards, resulting in a truly modern liner. The Divina is outfitted with Advanced Water Treatment technology, and an Energy Saving and Monitoring System. 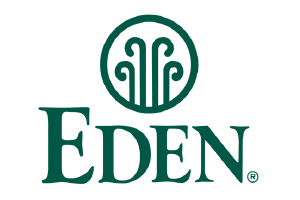 She’s received numerous awards from both private and government organizations for being on the cutting edge of eco-friendly cruising. On board the Divina you will discover luxury cruising at its best. 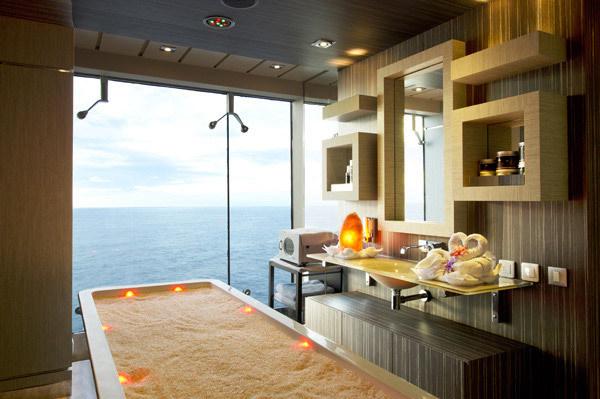 Relax in your cabin designed with the hallmark Italian artistry and elegance associated with the MSC line. 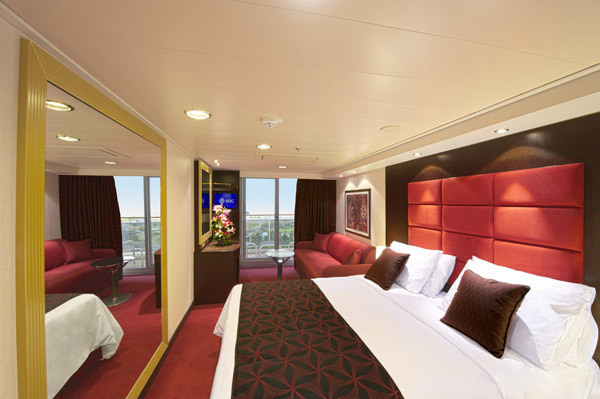 Staterooms are stylishly decorated and many have private balconies. Passengers will appreciate the attention to detail and craftsmanship. Imagine yourself on a private balcony overlooking the ocean, beneath a star-filled sky, accompanied by the sound of the waves and a refreshing breeze. During your cruise, you will experience delicious, specially-prepared vegan meals served by attentive staff in the ship’s elegant dining room, the Black Crab, or the second dining area, the Villa Rossa. For Mediterranean fusion cuisine provided by MSC, there’s the Galaxy Restaurant, which features a gorgeous panoramic view of the ocean. 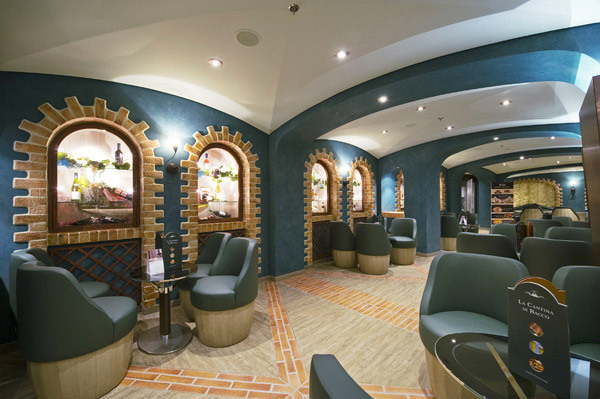 In between meal times, there’s always the option to grab a salad from the buffet in the Calumet Cafeteria, or a light snack at the dreamy Piazza del Doge. The Divina was made for socializing and enjoyment, and her many lounges and public spaces are artfully decorated for celebratory and leisurely moments! 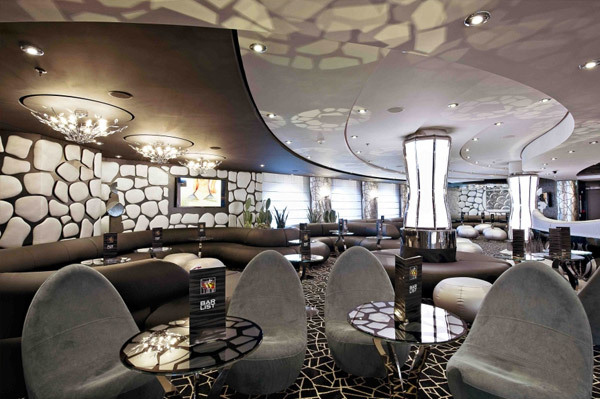 The Black and White Lounge contrasts futuristic curves with an attractive grayscale palette. 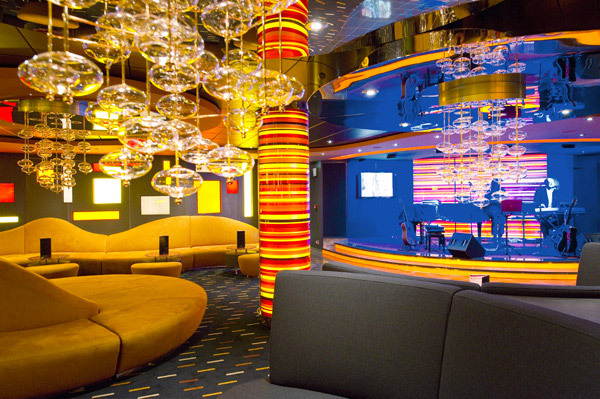 The Silver Lounge Bar features modern design and a space-age atmosphere for the cutting-edge crowd, while the mellow warmth of the Golden Jazz Bar is perfect for getting into a groove. 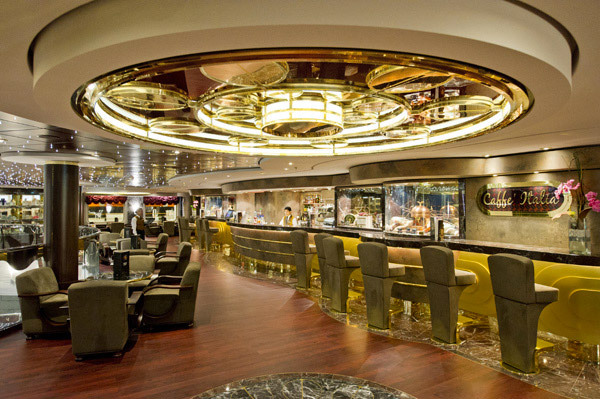 To enjoy conversation with new friends aboard the ship, mingle in the wine bar, La Cantina di Bacco. For a little late night fun, try the Galaxy Disco on deck 16, which boasts a panoramic view of the ocean; it’s mesmerizing and refreshing after a bit of dancing! When it comes to live entertainment, MSC delivers. 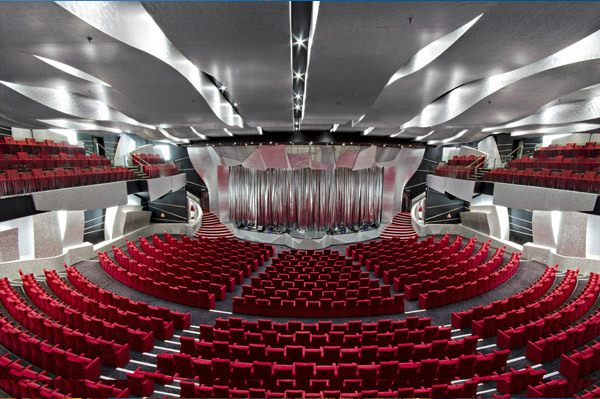 The Pantheon Theatre is magnificent, state-of-the-art, and acoustically impressive, with no blocked sight lines for each of the 1,600 seats. Every night there is a lavish production number to watch in the Pantheon. From the talented vocals of opera singers, to the gravity-defying feats of aerialists, to the riotous comedian acts, there is always something for everyone. The multitude of smaller lounges offer entertainment and music on a more intimate scale – La Luna is a refined lounge and piano bar. 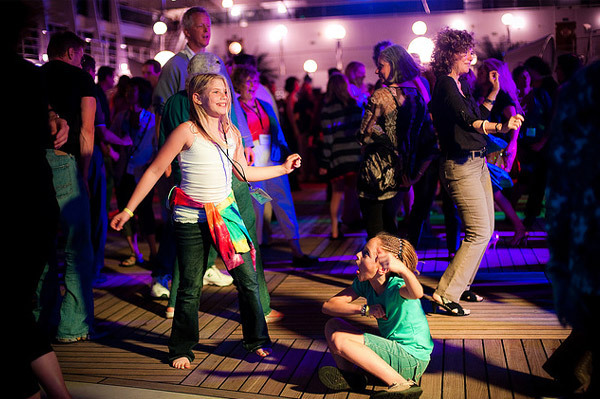 Aboard the Divina, you are never far from live music. Starting in the late afternoon and continuing into the wee hours, live music can be found in many locations throughout the ship. 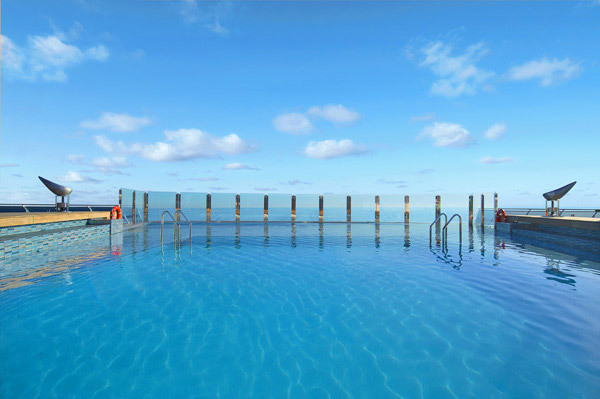 During your free time in the days between lectures, yoga, Pilates, meditation, cooking classes, and workshops, refresh yourself in one of the Divina’s sparkling swimming pools. Splash into the aqua waters of La Sirene, a covered pool on deck 14, or plunge into the full experience with the Aqua Park, over 22,600 square feet of watery excitement. Lounge with a book in one of two Solariums, where you can warm up in the sunshine without the hassle of a strong breeze, or take a dip in one of a handful of whirlpool tubs. On the exposed decks, you can relax in cleverly designed lounge chairs with sun visor attachments, which can easily be positioned to keep the sun off of your face. The Aurea Spa offers a world-class experience. With 18,000 square feet of soothing, nature-inspired decor, the spa was designed for relaxation, restoration, and pampering. The spa facilities include areas for sauna, Turkish bath, whirlpool tubs, exercise, beauty treatments, sunning, and more. 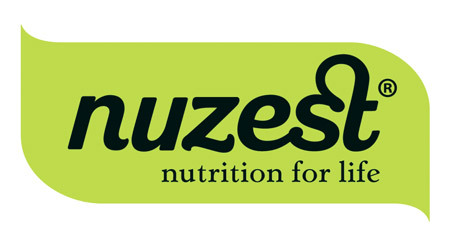 Enjoy a rejuvenating facial or steam bath to look and feel your best. Want the best view in the house when pulling up to a port? 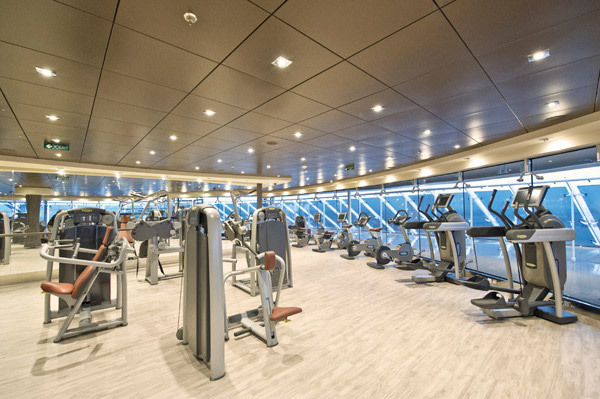 Watch the approach of the sandy shores while working out in the Aurea Fitness Center. Along with the water park and pool, children can play and meet others their age in the safe environment of the I Puffi, the kids’ play area, while teenagers mingle at I Graffiti. The entertainment options for kids are numerous, with a 4D Cinema, an F1 race car simulator, the Teens’ Toboga waterslide, the Virtual World arcade and La Caramella confectionary. Holistic Holiday at Sea is not only a very relaxing vacation, it is also a profound learning experience that will change your life. If you feel a need for a quiet space to unwind and contemplate all you are learning, retreat to the ship’s small library and conference room, Sky and Stars. There is an attendant who will unlock the bookcases for you, but double check the time to make sure that it is staffed. Strolling through the Galleria d’Arte and resting your eyes on the beauty of Italian paintings is another option. There is also a designated Relaxation Room in the Aurea Spa, and the Solariums often offer more peaceful venues for relaxation. Like all ships sailing today, the Divina is outfitted for Wi-Fi. 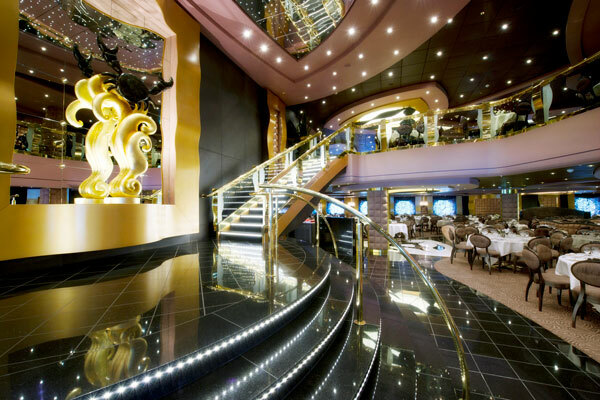 There are various hotspots throughout the ship, mainly in the public areas. If you bring your laptop, here’s a little known secret – at the reception desk, you can borrow an ethernet cable and connect it right to an outlet on your cabin TV. You’ll need to purchase an internet package in order to get online, but it can be nice to use your own laptop in the comfort of your cabin. 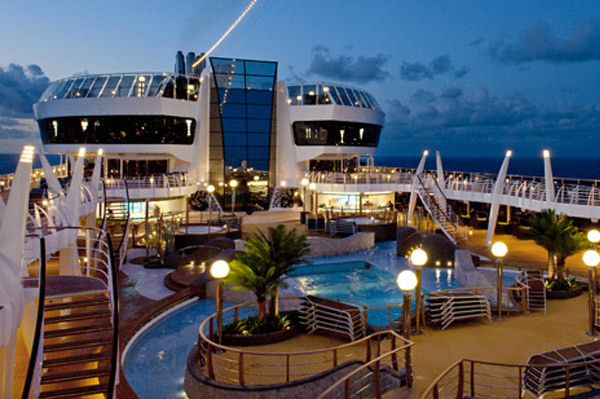 Of course, the Cybercafe on Deck 5 is always available. The Divina is a moving city of international guests. 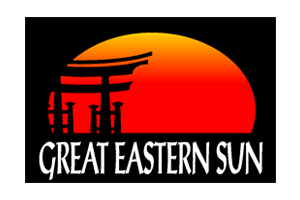 Enjoy all her amenities while having the learning experience of your life in the company of other like-minded guests and world leaders in the field of holistic living. 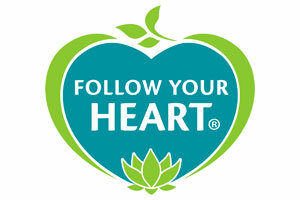 Holistic Holiday at Sea™ is truly a vacation with a purpose!